Browse our Laurel Burch Collection below…. We've gotten a bunch of NEW Laurel Burch fabrics in for your loved one! 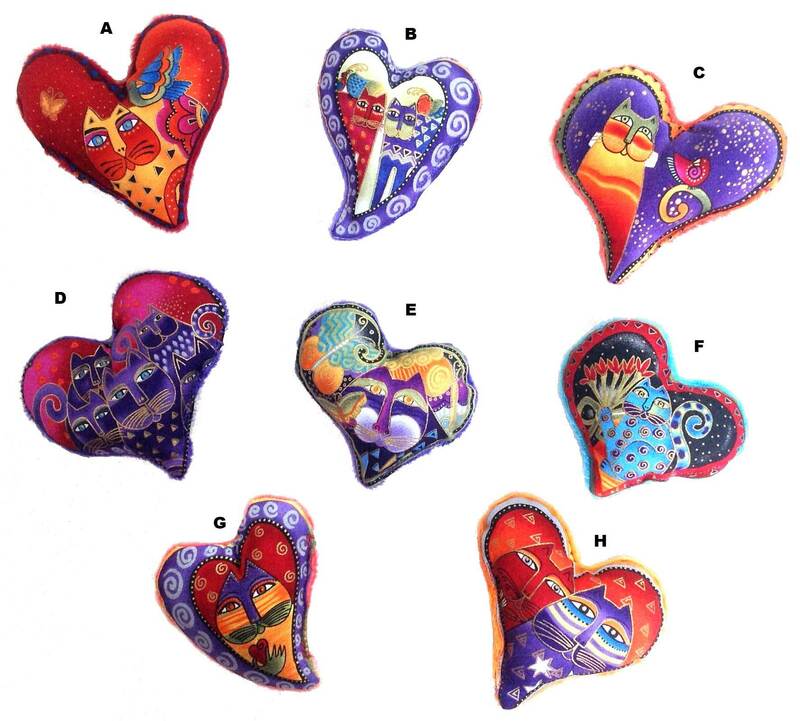 These cute heart-shaped cat toys are handmade from an assortment of Laurel Burch 100% cotton cat fabrics. They are all backed with our super soft Minkee coordinating colors. And of course it is filled with our 100% POTENT organic catnip and polyfill - also comes with a catnip-free option! With 8 different styles, there's lots of love to go around here at the Catnip cafe! All of our catnip toys are handmade by one craftswoman. Our fabrics, polyfill and 100% organic catnip are all high quality.